I need to get some of this weight off, how about you? Gaining weight as we get older is something I think most people struggle with. I had been letting a little creep on year after year and it had gotten rather ridiculous. I knew I needed to pay more attention and do something about it for a couple of years now. Some of you may know that my dad is suffering from late stages Alzheimer’s and he requested that he stay in his home as long as possible so close to 4 years ago my sister and I were faced with a new season where he could not be alone at home at all. We had to do something. In order to honor his request and to provide the best care for him my husband and I made the decision that I would spend half of my week with him 220 miles from our home. This was not a small commitment but it was one that I felt had to be made. Do I need to lose weight? YES. 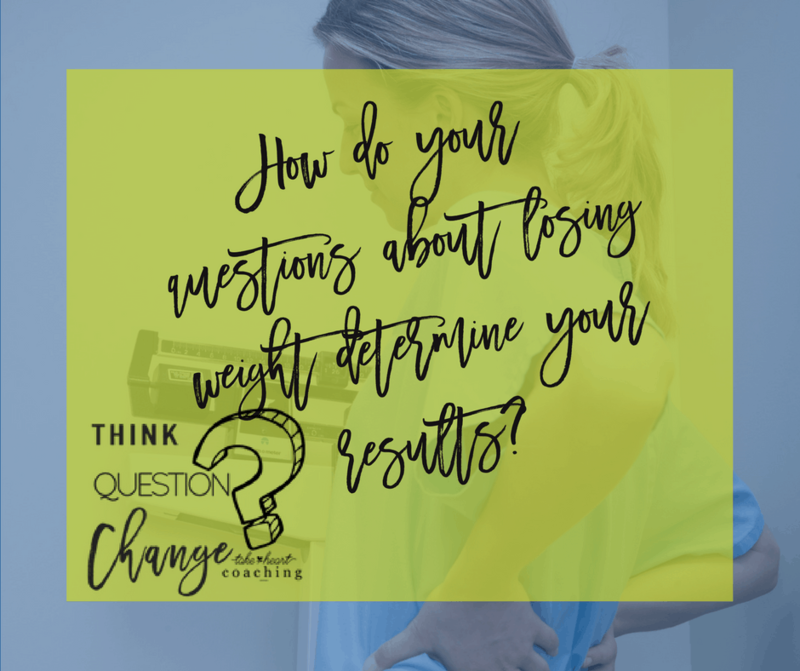 Will I feel better if I lose weight? YES What can I do to lose weight? NOTHING. I have no extra bandwidth and I just can’t worry about every little thing I put in my mouth. It will just have to wait. BUT this Spring, I changed my questions. What if I tried this plan that my friend is on? MAYBE, I could do that. Will I like drinking shakes 2 times a day? I don’t know, I usually only eat 2 meals a day now, I think I can do shakes. It will be nice to not have to think about what I am eating at least. Can I do 1 meal at 4-600 calories only? DOUBT IT… at least I can try. If I go over it will be better than what I am doing now. Can I give up all the things I love? NO but I think I can give this a try and just see what happens. Why have I been able to drop 35 pounds in the last 4 months? I am still taking care of my dad, though it is only every other week, so I don’t have a lot more bandwidth than I did at this time last year. The key is, I asked different questions which lead me to a new answer. I started in the same place but I had a new option to consider. That one new question changed the questions that followed. I was also more open to new answers because of the new question. How can question thinking help you find new answers? 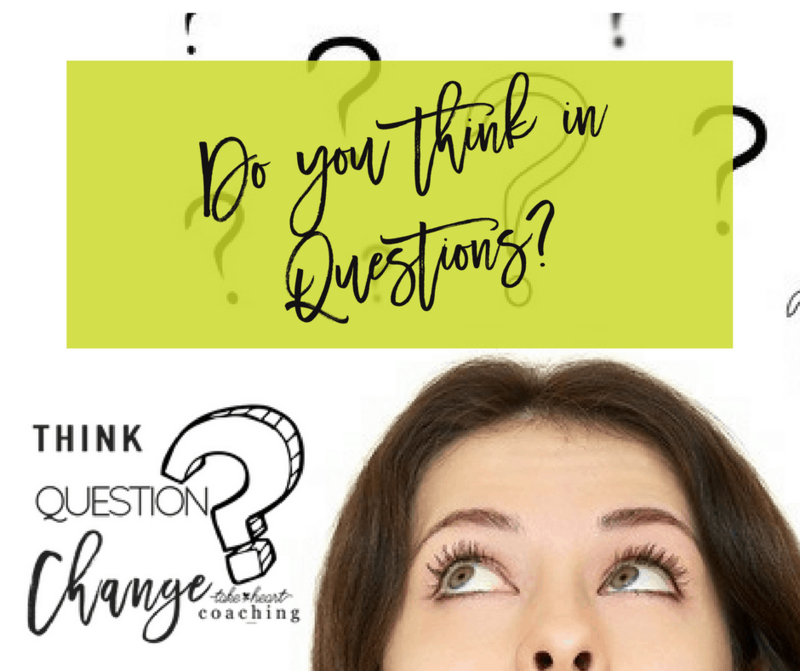 Join me in a 2 part workshop which will help you to explore your internal questions to make changes you didn’t know were possible. Have you exercised for 30 minutes today? We all know we need to exercise at least 30 minutes per day. 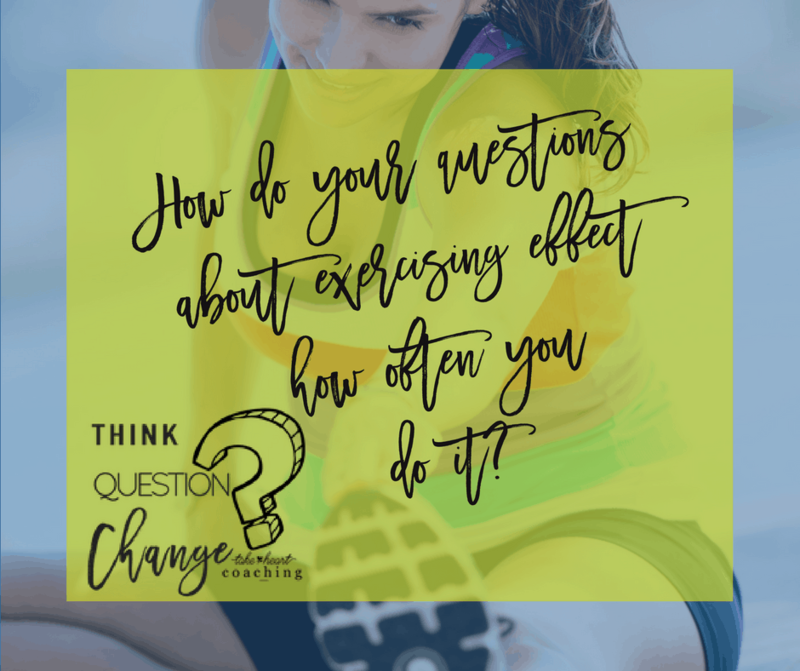 How do you think your questions about exercising effect your outcome? Let me share an experience with you…..
3:00 pm, I asked myself do I feel like exercising today? Not really. Well I know I should. When can I fit it in the busy afternoon and evening I have planned? There is no time. I will do it tomorrow. It’s 8 o’clock, time to exercise. Do I want to do the elliptical, yoga or BodyGroove today? Grooving gives me the most steps. How many steps do I have today? 4,929 ok I better get busy. Where are my tennis shoes? In the closet, off I go to get them on and get to it. The first question I asked myself changed where my next question went. That one question leads me to a place that let me skip exercising without a whole lot of thought. The second one lead to questions that helped me arrive at an answer that was best for me. What questions are you asking yourself when it comes to exercise? Stop and think about it today. I would love to hear what you have discovered about your questions and the results you are getting.